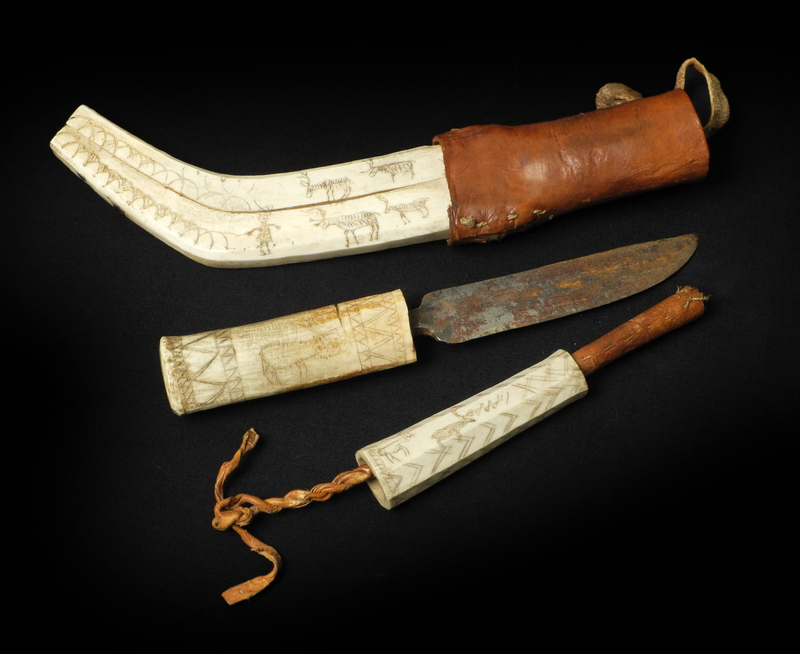 A beautifully naieve Sami ‘Lapp’ Dagger with sheath and toggle, the latter dated 1888. Made by the Sami people; indigenous to Scandinavia. Finely hand engraved in reindeer bone and antler embellished with leather. A fine piece of northern European craft and artistry.